Known for its creamy texture, dark color, and rich, caramel-tinged flavor, Guinness beer is possibly the most popular Irish beer brand in the world. The thick, creamy texture is produced from a mixture of carbon dioxide and nitrogen which gives the beer a smoother feel while the unique dark color and sweetness were the result of the small amount of roasted barley used in the brewing process. The bittersweet reward you get from drinking this beer is simply satisfying. Moreover, the label is superb with its antique and historic look. From the bottle to the taste, the pure beauty of this beer is way beyond amazing. Originally, a pub refers to a place that is open to everyone from laborers to travelers who wish to gather for a drink and also to relax. It is a perfect meeting place to talk about anything or everything. However, as time flies, pubs are now being treated as similar to cafes and bars. Yet, although the perception of a pub in the past is different from the present, the fact that it is a great gathering place remains. 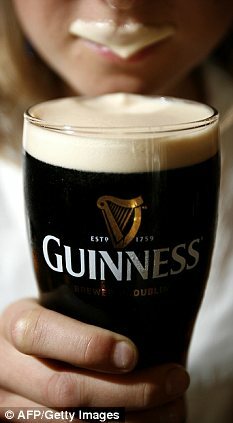 Different brands or types of wines, spirits and breweries are offered in a pub but almost all pubs in the world offer no other than the popular Guinness beer. The amazing dark color which appears red when hit by light, together with the prominent roasted barley and/or chocolate aroma, these are just two of the many reasons which make this beer remarkable. The Butcher & Banker Pub is located in Beamsville, Canada and is a modern version of a pub. Wide arrays of beers on tap like a typical pub combined with a very extensive menu of perfectly cooked food like that of a restaurant, B&B is simply a hit for every type of customer. The very friendly and welcoming staff are just add-ons of B&B. It is a great place for a gathering, whether you are with your family or friends, boss or associates. 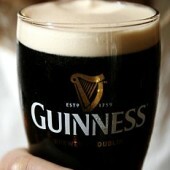 The sumptuous menu can go well with a bottle or a jug of Guinness. Though, drinking it solo will be good too. The feeling of being in an Irish pub is within reach even though you are in another country, that is Canada. You don’t need to travel far away. Furthermore, a full-packed B&B will really remind you of the old times where pubs are the meeting place of all kinds of people. The set-up, the design are coherently copied from a classic pub but with a touch of a modernism, making B&B a good example of a modernized pub. So, if you’re near Beamsville, Canada area and looking for some place to chill with your favorite Guinness beer, Butcher & Banker Pub is the best choice for you. The warm and friendly atmosphere will surely boost the taste of your beer, served with the best dishes that could go along with your Guinness. © 2019 Copyright butcher and banker. All Rights reserved.